From cosmopolitan Vancouver across the prairies and mountains to rugged Newfoundland, one thing is certain: Canadians love their beer. Along with ice hockey, maple syrup and irrepressible friendliness, beer is practically part of the national identity. 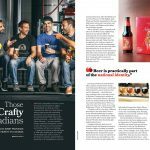 While many of the well-known brands — names like Molson, Labatt, Sleeman — are now owned by foreign companies, homegrown creativity is more alive than ever. 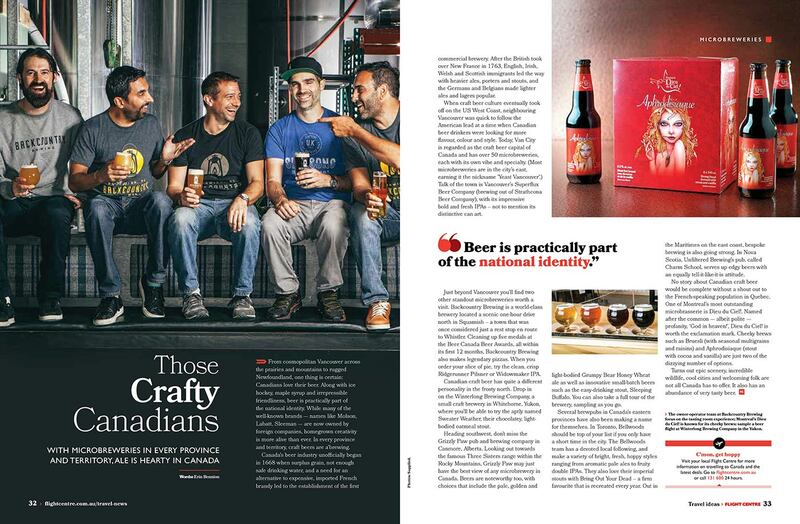 In every province and territory, craft beers are a’brewing. Canada’s beer industry unofficially began in 1668 when surplus grain, not enough safe drinking water, and a need for an alternative to expensive, imported French brandy led to the establishment of the first commercial brewery. After the British took over New France in 1763, English, Irish, Welsh and Scottish immigrants led the way with heavier ales, porters and stouts, and the Germans and Belgians made lighter ales and lagers popular. 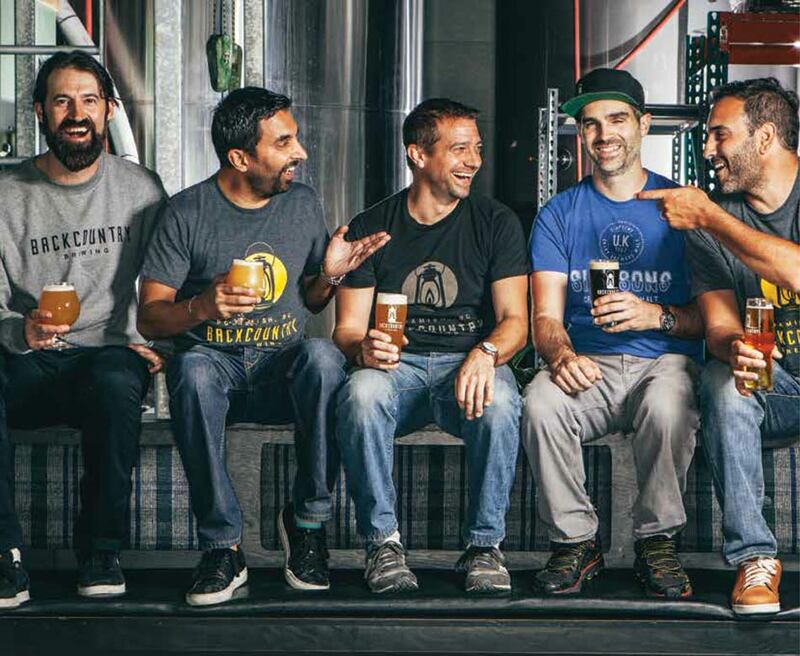 Just beyond Vancouver you’ll find two other standout microbreweries worth a visit. Backcountry Brewing is a world-class brewery located a scenic one-hour drive north in Squamish – a town that was once considered just a rest stop en route to Whistler. Cleaning up five medals at the Beer Canada Beer Awards, all within its first 12 months, Backcountry Brewing also makes legendary pizzas. When you order your slice of pie, try the clean, crisp Ridgerunner Pilsner or Widowmaker IPA.